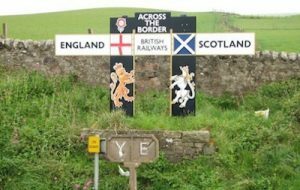 Britain’s East Coast rail route is one of two core arteries that link England with Scotland and also serves major population centres in West Yorkshire, Humberside and the North East. An upgrade programme is currently in progress that will see the number of paths for 125mph express services rise from 6 to 8 per hour throughout the day. The work to be undertaken by 2021 will see 4 tracks restored over the 6-mile section between Wood Walton and Huntingdon and remodelling at Werrington Junction to allow grade separation. The additional capacity will allow the diversion of freight operations over the secondary route between Peterborough and Doncaster which is also being upgraded. Three operators made track access applications to the Office of Rail and Road which is the independent regulator with responsibility for approving new timetable rights. The sum of the new service aspirations amounted to 10 paths per hour from London so an assessment of the value of each application was made which had regard to the range of statutory duties the ORR is required to consider in network access. For these applications it gave weight to the impact on service performance in terms of punctuality and reliability as well as faster journey times and preventing overcrowding. The cost and benefit of the different proposals were also assessed including the financial impact on the franchised operator and the ability to pay a premium to the Department for Transport for the right to run services. The applications to operate new services came from Virgin Trains East Coast (VTEC) to meet its franchise commitments, and proposals for new open access services by First Group to run trains between London and Edinburgh and Alliance Rail (a Deutsche Bahn subsidiary) for a range of routes. The decision letter was published by the ORR in May and provided a detailed analysis of the reasons for approving the VTEC and First applications while rejecting the Alliance service proposals. The First Group application was approved as the five return trips to be operated will compete with low cost airlines by offering a no frills low fare product and by attracting this business revenue will be generative rather than abstractive. The Alliance proposals were rejected as the financial return would be low for a proposed Anglo-Scottish service using tilt capability as Network Rail costs to provide route clearance was estimated to be £35 million although there was no confirmation from NR that it agreed with this figure. The West Yorkshire / Cleethorpes element of this application demonstrated a strong financial case as it would serve Leeds but assessed revenue abstraction of £44 million per annum would impact on the premium payments made by the franchised operator. It was also recognised that the enhanced services proposed by VTEC form the basis of their projected revenue with existing services extended to Bradford, Lincoln and Harrogate and new services to Middlesbrough. These trains were judged to have clear user and economic benefits and were approved.